Basic real ninja weapons which are perfect for a ninja and martial arts make a proper market value and remain in demand round the clock. Quality of these weapons is very fine and cannot be challenged at all. Talking from the point of view of durability, they are long lasting as well made. These are the best ninja weapons for practice or training purposes before a real fight. All these features add up to the value and worth of material and products and therefore, ninja weapons for sale ensure you a high profitability. Out of all martial arts weapons, ninja swords are the best selling. Ninja swords, with sharp blades which are extra fine at the edges, are available at Knife Import. The titanium sword is the best ninja sword that we have in stock, and it also is a top selling item. Wholesale sword prices of the real ninja sword at Knife Import is very reasonable and economical. Your investment in purchasing the ninja sword in bulk will bring you a lot of money at the end. 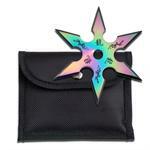 The ninja star is the most popular weapon used in martial arts. These are most of the times used as a secondary weapon to swords and are used to slow down the attackers. Another function performed by these throwing stars is that they act as a distraction. Real ninja stars for sale are easily available at Knife Import. It is highly economical to buy these weapons from Knife Import and then sell them to anyone at any price you want. It is a traditional martial arts weapon which consists of two handles connected via chain. Real nunchucks for sale are available at Knife Import. Handles are made up of excellent quality of wood or stainless steel. These are available in foam for practice and training purpose which is mostly purchased by kids for training or coplay. Nunchaku earned great market value as it was the favorite weapon of the late Bruce Lee. Check out the Bruce Lee nunchucks in our collection. Sai weapons for Martial arts are the most prominent weapons used in martial arts demonstrations and illustrations across the globe. From this perspective, you can judge and calculate the worth and value of the sai weapon. It is a martial arts weapon which has both defensive and offensive characteristics at a time. It is highly functional in all martial arts strategies and its correct use make it appropriate for all martial arts techniques. It is used on a large scale. This shows that its demand in market would be no less and demand ensures profit. You can purchase the sais weapon for sale from knifeimport.com at very reasonable rates and later on you may sell them to customers at a profitable prices. This will lead you to easy money making. Whether a person is a beginner, a mediocre or a master in martial arts or MMA, there are some things which are needed for sure and that is a martial arts sparring gear. Sparring gear is, as well, a necessity of martial arts because precaution is always better than cure. Knife Import sells some cool ninja gear. Sparring boots are elegantly designed to keep your feet and joints fully protected. Headgears provide enough safety and head protection, along with an extended protection of ear drums. The karate gear attain high price in the market. If you invest in this, you will surely earn a big profit. As suggested by name, training swords are meant for the purpose of training ninja warriors and martial arts enthusiasts. But that does not mean that it is an ordinary sword. 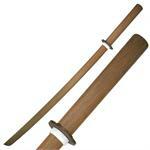 The wooden practice swords and the polypropylene sword in our collection are amazing for training. These practice swords are totally harmless and are the best you need to become perfect at the game. Knife Import sells a variety of training swords for you to choose from. Martial arts staff is a traditional martial arts weapon made up of wood and is around 4 to 6 feet in length. Blocking, thrusting and striking the attacker are its functions during martial arts fight. The martial arts bo staff is the most effective weapons against all other weapons because only a split second passes under its blocking and striking strategies. Therefore, every martial arts enthusiast would love to have this. Best martial arts staff for sale are available at Knife Import at a cheap price. You can purchase these from here and can sell them in market at huge prices. This will make you earn a lot of profit. Performing martial arts looks better when it is done in a proper uniform. For the very same purpose, Knife Import brings to you martial arts supplies. These karate uniform are specifically designed while keeping in view all the fighting angles, techniques and strategies and the easy to move, they do not restrict motion. Styles are completely elegant and sober. Texture of martial arts uniforms is smooth. Cuffs and hems of these uniforms have extra stitching for more durability Fabric used is pure cotton. Martial arts uniform are available in all sizes. You can get these from Knife Import at cheap wholesale price and can sell them to customers earning large profits. Hence, Knife Import is the easiest and convenient way of online purchasing and money making. It provides you best martial arts weapons for sale at very cheap wholesale prices and allows you to make high profits by selling them at your own desired price to customers at your retail locations or your online ebay or amazon stores. Knife Import is surely a customer friendly website which never lets anyone down and if you need top quality martial arts supplies, then this is the best place to be at.